A suction accumulator or a suction trap is located between the low-stage evaporator and compressor, and prevents liquid refrigerant from entering the compressor. Low-pressure receivers are used in liquid overfeed systems to separate liquid from vapor and as storage. Owing to our experience, we have been successful in catering to the requirements of our esteem clients by offering quality Cold Storage Plant. These cold storage plants are designed utilizing the modern machines and are versed with the sophisticated technology. Our deft engineers ensure to keep the environment of these plants so as to store the clients consignment safe and securely. In order to fulfill the ever changing demands of our clients, we have been engaged in offering a quality range of Meat Cold Storage Plant. The offered range is designed in strict compliance with the set industry standards and norms. Also, this range is known for durability, reliable operations and high performance. These cold storage plants are temperature controlled in order to prevent any adverse conditions. 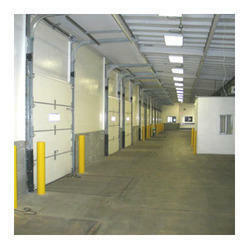 Vegetable Cold Storage Plant is a complete solution to both preserving and cooling. You can rely on this cold storage plant for all the industries like food processing, marine refrigeration, warehouses, and commercial cold rooms as well. These machines are of superb quality and are made using the recent technology. Used Recent technology like deep freezers. Most important the cost is feasible. 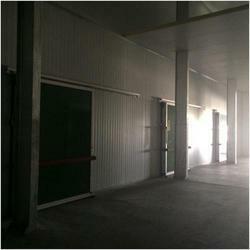 Owing to our experience, we have been successful in catering to the requirements of our esteem clients by offering quality Multi Commodity Cold Store . These cold storage plants are designed utilizing the modern machines and are versed with the sophisticated technology. Our deft engineers ensure to keep the environment of these plants so as to store the clients consignment safe and securely. 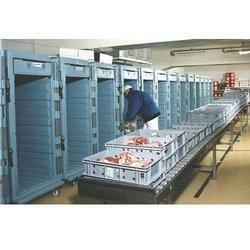 Looking for Food Cold Storage Plants ?